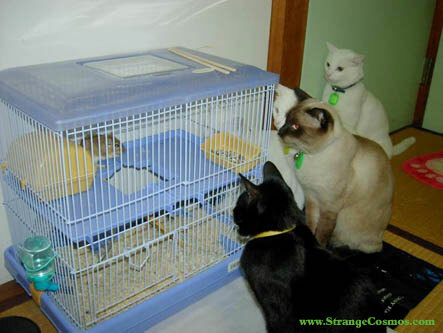 That poor gerbil is going to get a complex having all those eyes watching its every move!! I would surely share this also with my sister.Nice cats. This looks amazing. hey u better watch out with thouse cats of urs. thats a cute pitcher though. Why run the dishwasher when your dog will clean your plates for you?